When dealing with credit card purchase and repayment transactions in PocketSmith we recommend treating all of the purchases on your card as expenses. Assigning your credit card repayment transactions to a transfer category will then ensure that you don't double count your credit card expenses. 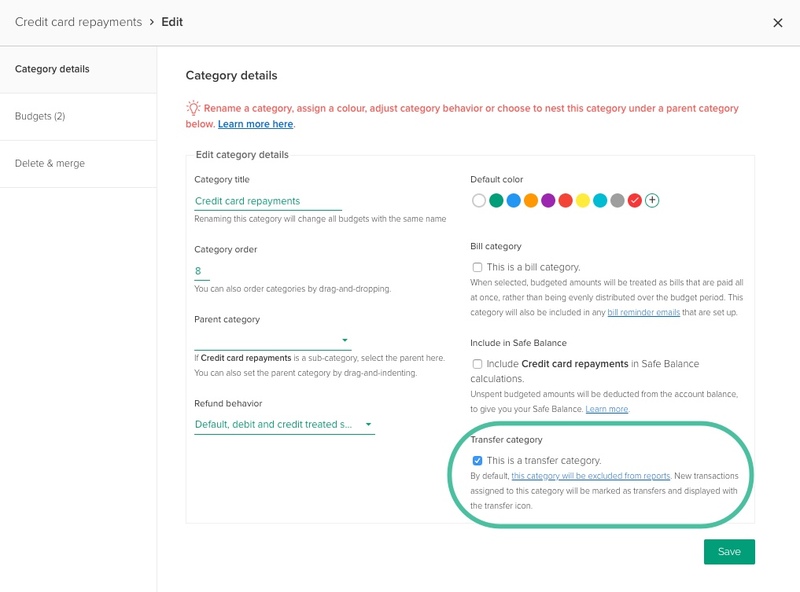 We recommend treating your credit card purchase transactions as you would any other expense transactions - by assigning them to appropriate expense categories. Repayments made on credit cards will appear on both the 'paying' account and the card account. It's important to assign both sides of the repayment to a transfer category to ensure that you are not counting the repayment of your credit card purchases as an expense. It's best to assign your credit card repayment transactions to a category that is set up to correctly deal with transfers. After selecting this, another option will become available to you - Mark transactions already assigned to this category as transfers. 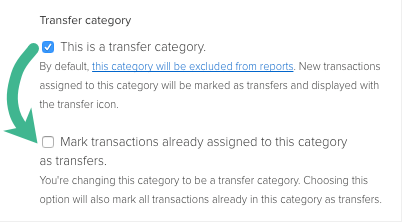 If this category already has transactions assigned to it that you'd like to be treated as transfers, choosing this option will also mark those transactions as transfers and display them with the transfer icon. Once you have your transfer category set up, make sure to assign both sides of your credit card repayment transfer to that transfer category. For example, the repayment transaction leaving one account, and then that same transaction entering the credit card account.